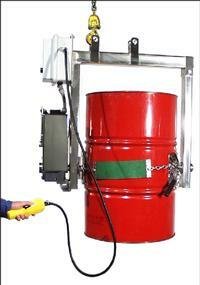 Engineers have designed this below hook lifting device with motor driven drum tilt for below hook applications. 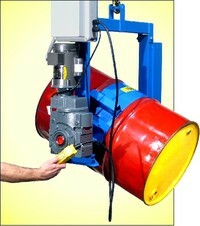 It is more than just a 55 gallon drum dumper. 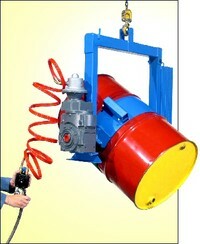 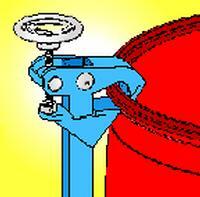 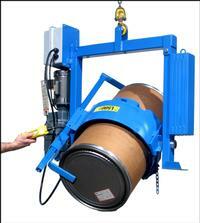 You have 360 degree powered control of drum rotation and dispensing with this industrial lifting equipment. 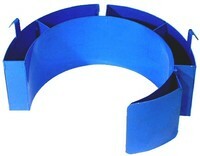 Fiber drum strap is now included.